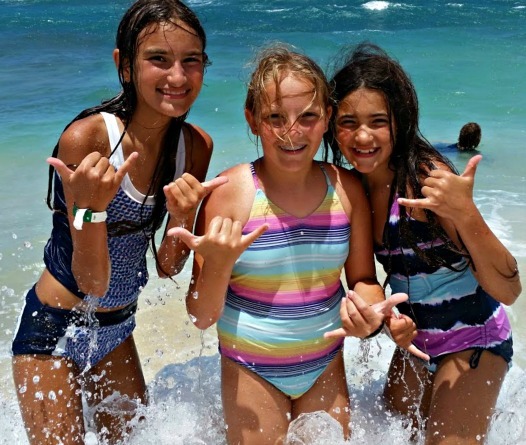 ﻿We are an overnight summer camp in Hawaii, located right on the beach on Oahu's beautiful North Shore, just 45-minutes from downtown Honolulu and world-famous Waikiki Beach. ﻿Sign up now﻿ to enjoy our white sandy beach, charismatic counselors, clean cabins, delicious food, and many other amazing ﻿camp activities﻿ you won't find anywhere else, many of which are unique to Hawaii. ​Get ready for a camp experience you'll never forget and will want to return to year-after-year. From swimming with sea turtles to s'mores on the beach (and everything in between), dozens of incredible activities await you here. After all, we're talking summer camp in HAWAII ... what could be more fun? SPECIAL Early Bird Discount! ... SAVE $100 PER CHILD! Sign up for camp by May 1 and get a $100 discount per camper! ​Our week-long Hawaii summer camp program takes place at Camp Mokuleia, a spectacular 20-acre campsite located right on the beach with clean cabins, amazing ocean views, gigantic open-air dining hall, and many on-site and off-site camp activities, attractions, and site-seeing opportunities nearby.